The date for the strike has not yet been announced. 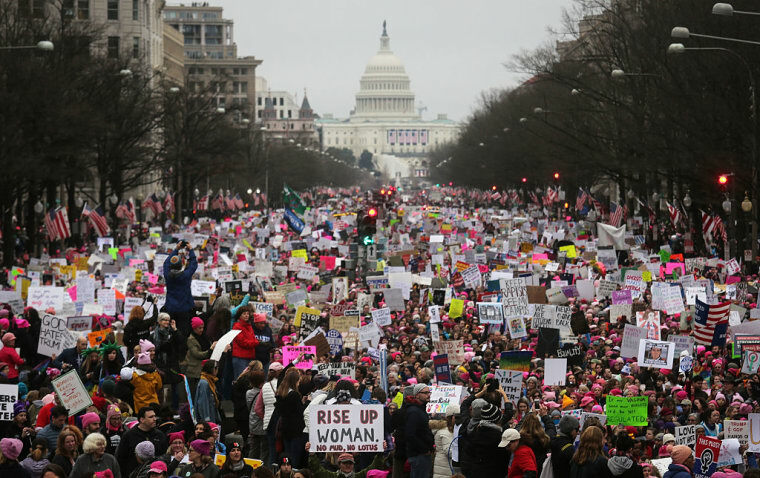 The organizers of the Women's March, which brought protesters together in Washington D.C. and cities around the country on January 21, have announced plans for a general strike. The Women's March account tweeted out the news on Monday, writing, "The will of the people will stand." The date for the strike is still being determined. The announcement from the Women's March organizers follows two recent strikes from members of the New York Taxi Workers Alliance and Yemeni-American store owners in New York City. Taxi drivers declared a one-hour strike in solidarity with those who gathered at JFK to protest Trump's Muslim ban on January 28. Yemeni-American bodega owners closed their stores on Thursday and held a public protest in Brooklyn. As BuzzFeed points out, two other groups have announced plans for general strikes in recent weeks. One organization is calling for a February 17 strike to protest against Trump, while a California chapter of the Service Employees International Union is organizing a general strike to take place on May 1. A representative for the Women's March was not immediately available for comment.